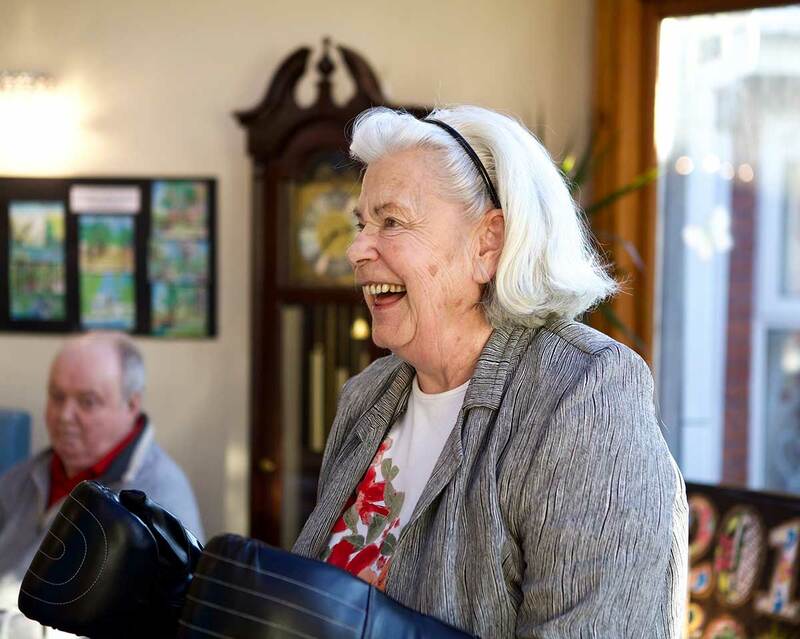 The Siel Bleu programme is a much loved part of our residents lives. Our trainer comes every Monday and Thursday and he is very much anticipated and welcomed by our residents. 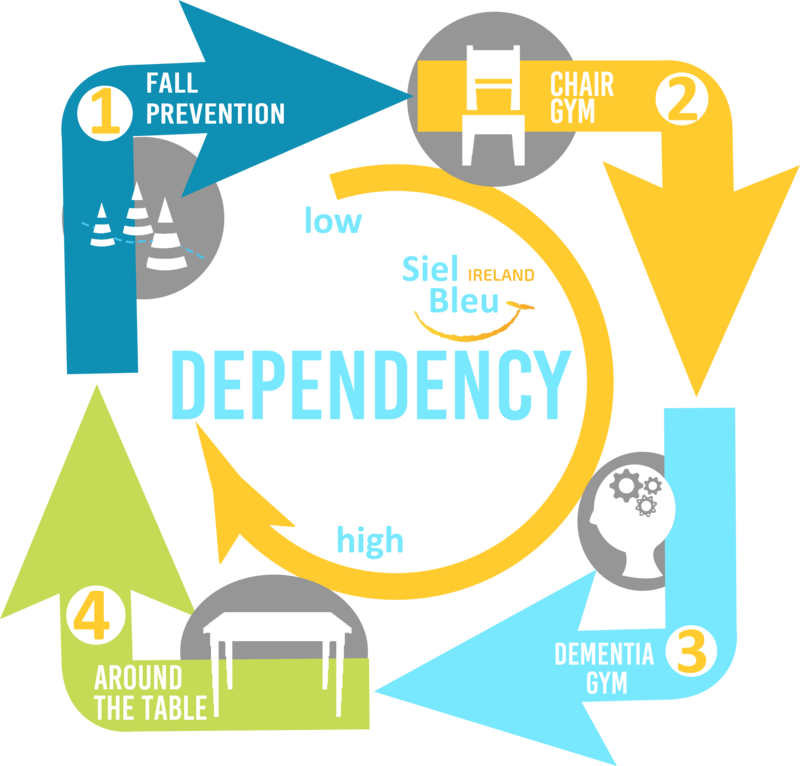 Siel Bleu have proven to be very beneficial in both preventing falls and also maximising the ability of all who take part. The residents who attend the weekly sessions, look forward to it, and not only benefit from the exercise, but also from the social experience. Our trainer is excellent and a valued member of our team. I would highly recommend Siel Bleu as a great service. 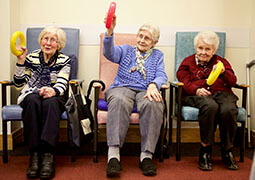 We can help improve the autonomy of older adults in care establishments! Thanks to the methodology created by The Siel Bleu Association over the last 20 years, both residents and care staff benefit from the preventative nature of our exercise programmes. Each programme’s triple impact will have a positive effect on the participants’ physical capabilities, social inclusion and psychological prosperity as well as on the overall environment. With a continuous focus on prevention, our programmes challenge common issues arising in care establishments (including falls and dementia) through physical activity in a cost effective way. 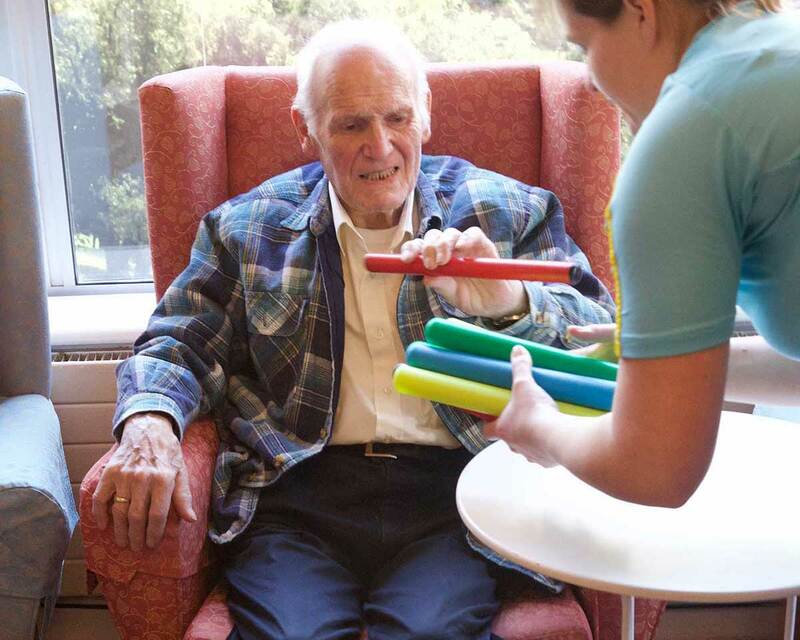 Our team create strong links within our partner nursing homes and day care centres, working closely with your staff to complement other activities and therapies and ensure maximum benefits for each participant. Your Siel Bleu Ireland Physical Trainer will gauge the ability of each participant and adapt one of our four suitable programmes to meet their needs and abilities. 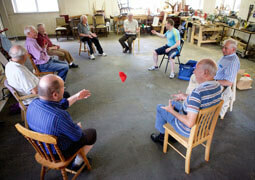 The residents get brilliant exercise and mental stimulation and I can see them improve every week. You can see improvement in their abilities to reach for something or tie their shoelaces by themselves, even buttoning a shirt is easier, that’s the real benefit of the class. Siel Bleu has become a part of the Riverside family. Siel Bleu is very good for me. I am encouraged to follow the instructor and to do the exercises only if I want/if I can.